Band filtering of a vibration signal and calculation of one measuring value. 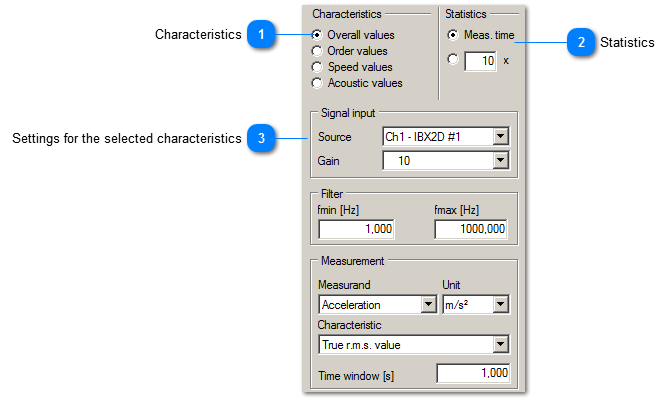 Narrow band filtering of a vibration signal and calculation of one measuring value. Processes the the digital input signals from the USB device. Frequency weighting of a microphone signal and calculation of one measuring value. Statistics can be performed over the entire measuring time or a defined number of measurements. The controls depend on the selected characteristics.